The second-generation Nissan LEAF with its 40 kWh has just 151 miles (243 km) of EPA range, but as it turns out, that's somehow enough to go across a big chunk of the world. 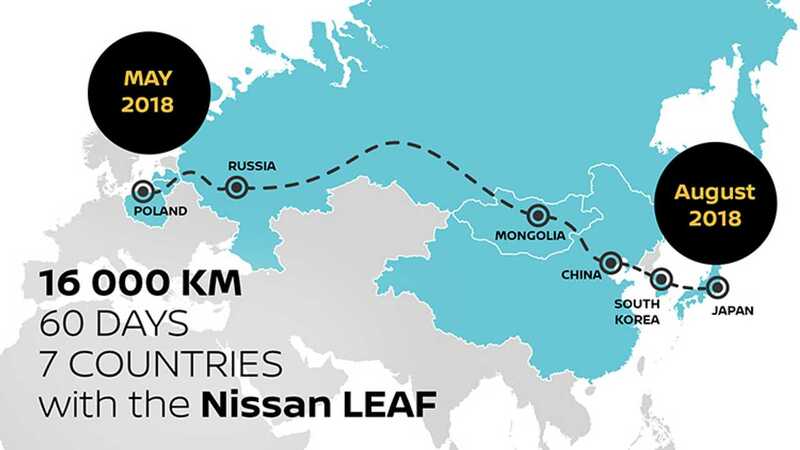 Polish polar adventurer Marek Kaminski, the first person to walk to both the North Pole and the South Pole, solo and unsupported, recently completed the 16,000 km (9,944 miles) journey from Poland to Japan in a LEAF and now is on his way home (another 16,000 km in a LEAF). The journey through 8 countries (including Lithuania, Belarus, Russia, Mongolia, China and South Korea) took 60 days. Most of the distance driven was in places where there are not many charging stations available. 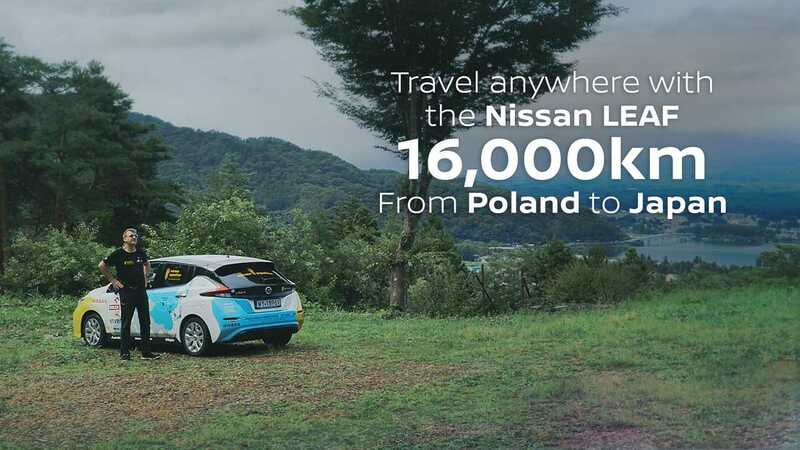 "After an epic 16,000-kilometer drive, polar explorer Marek Kaminski has arrived in Japan, having started his landmark #NoTraceExpedition in Poland three months earlier in Europe’s best-selling electric vehicle, the new Nissan LEAF. Unfazed by the first 16,000 kilometers, Marek will now get back behind the wheel and complete the return journey from Tokyo to Poland in the same car. In his mission to challenge the myths around sustainable travel, Marek sees the new LEAF as the perfect partner. The car produces zero tailpipe emissions and offers a host of features including Nissan e-Pedal and ProPILOT semi-autonomous driving system to make travel effortless." “For me, this journey is not just about reaching my destination – it is also about making a simple, brilliant change to be more sustainable. “We believed that his journey demonstrates how, by using an electric vehicle, people can drive huge distances in comfort whilst positively influencing the environment, and Marek has achieved just that.